Acer is serious about external graphics—the idea that you can plug a graphics card into a relatively weak computer and make it more powerful whenever you need. How serious? The company will sell two computers with external graphics in mind, starting this year. Just be warned: our friends at Acer say you can’t charge this laptop over Thunderbolt 3. The R13 is no slouch itself, configurable with the latest 15W Core i5 and i7 Skylake processors, 8GB of RAM, two SSDs in a lightning fast RAID 0 configuration, and MU-MIMO 802.11ac wifi, but there’s no way for a laptop this thin and portable to have a powerful graphics chip inside. With an external Thunderbolt 3 graphics dock—which Acer says it will sell seperately—you could get the best of both worlds. The laptop will be available in October starting at $899. Yep: it’s a stackable modular computer. The Revo Build, to be exact. It’s just 5 inches on a side. This isn’t exactly a first. There are a few precedents for modular computers and stackable parts, like this, this and this. But Acer seems pretty set on actually selling this machine. The base module, which runs Windows 10 on a relatively weak Intel Pentium N3700 or Celeron N3150 processor with up to 8GB of RAM, and 32GB of storage. will cost €200 (about $225) to start, and then you just stack additional blocks on the top and botth of the system. They snap into place with magnetic connectors, and interface with one another using pogo pins. You’ll be able to buy a 500GB or 1TB hard drive to start, which you can just pull off the top of the system and take with you. After that, as you can see, there’s plans to create a headphone amp, an audio block with speakers and microphones, a wireless power bank, and yes, an external graphics block too. Plus a projector, so you don’t necessarily need to plug the stack into a monitor—just project your display on a wall. 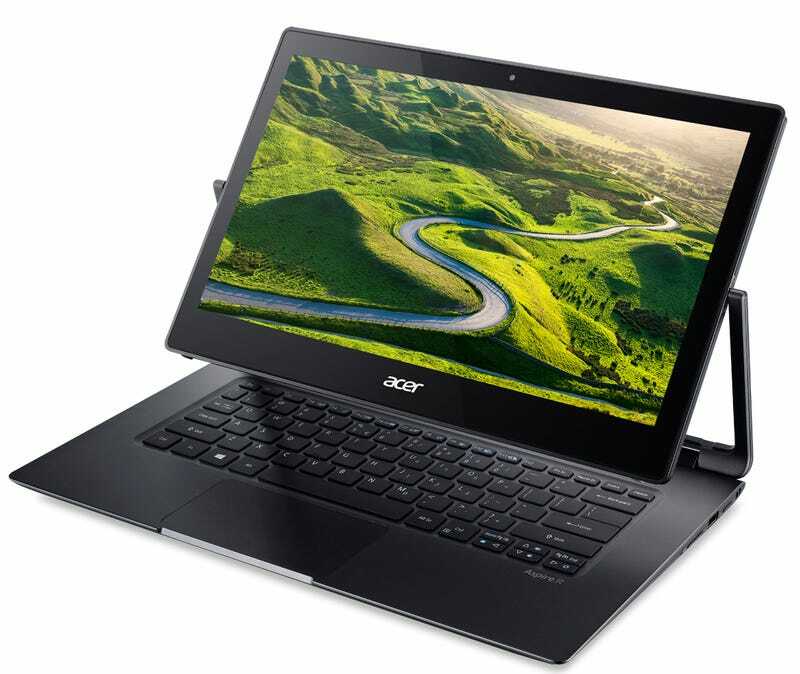 No word on how long it’ll take to offef the additional blocks, but Acer plans to start selling the basic kit in the Europe in October, in China this December, and in the US at some unspecified point as well.